The life you want to live is waiting for you at Boca Flores. Explore this community and see for yourself. The Carriage Series offers one level Life Tested home designs with private elevators standard for second story homes. These homes feature large open, living areas and gourmet kitchens. The Villa Series offers attached villa Life Tested home designs. The Villa Series homes feature large kitchens open to the gathering room and flexible living options. The Pompano offers elegance with a flowing first-floor carriage home design, gourmet kitchen, spacious great room, and lanai. The second-floor Westgate carriage home with elevator impresses with flexible living space designed for active adults who enjoy hosting guests. The Serenity’s open plan with flexible living space is designed for active adults who enjoy hosting overnight guests. Boca Flores is a 55+ active adult community in the heart of Boca Raton. 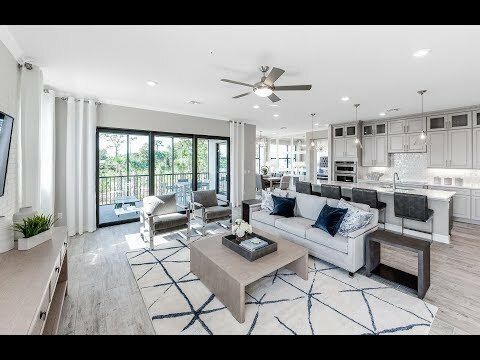 Whether you’re soaking up the Florida sunshine at the pool or taking advantage of membership options to the Boca Lago Country Club, this community will allow you to live the active life you’ve always dreamed of. Since the days of Addison Mizner, Boca Raton has been known as a premier retirement destination. Spend time at the beach within a short drive of the community, or enjoy some of Boca Raton’s world-class dining establishments. Shopping options are endless, with downtown Mizner Parc and the Town Center at Boca within minutes of Boca Flores. Consumer-inspired home designs with 2-3 bedrooms and 1,542-2,530 sq. ft.
*Valid on all Florida new home purchases through 12/31/19. Pulte Homes offers USAA members a $2,000 credit towards options. See a sales consultant for details. Pulte Smart Home lets you make your home exactly as smart as you want it to be, because when your home gets smarter, life gets better. Take the virtual tour now.